CATS Management Limited (CML), a wholly owned subsidiary of Antin Infrastructure Partners, operates the Central Area Transmission System (CATS) – a critically important element of North Sea infrastructure. This natural gas transportation and processing system transports gas through 250 miles of pipeline, from the Central North Sea to a processing terminal at Teesside in the North East of England. Most of the major North Sea gas producers use CATS as a safe and reliable route for transporting their gas onshore. These customers access a secure internet site which gives them the capability and information required to manage their gas sales in the increasingly competitive and complex UK market. It also provides important operational information and access to historical data. In 2015, Antin Infrastructure Partners acquired BP’s share of CATS, taking their stake to 99%. Joint Venture partners with equity in CATS are Eni and ConocoPhillips. 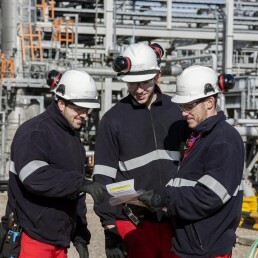 Antin owns its 99% stake in CATS via CML, who appointed Wood Group as Operating Partner, to take over the day-to-day operation of the CATS terminal and pipeline from BP. This created a requirement for a new Enterprise solution to administer CATS, and to replace the system used by BP. Whilst a relatively small project, the substantial revenues going through the system every month and the number of parties involved created real complexities. Also, the hard deadline, where access to the system used by BP would be cut off on a specific date had a major influence on the implementation approach. 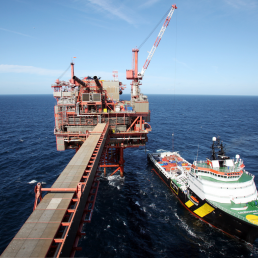 CML first evaluated SUN Accounts as that had a Joint Venture module and was typically the go-to system for Joint Venture assets in the North Sea. However, CML soon realised that they required something more modern that also integrated with Microsoft Office and therefore went on to explore other options. Capita, who was working on behalf of CML to set up the new entities, then approached Incremental Group to propose a Dynamics AX solution. Incremental Group focused on understanding CML’s requirements and set up an AX demo, using their data, to showcase how this could deliver the requirements using standard functionality. CML subsequently selected Dynamics AX 2012 and appointed Incremental Group to design, implement and support the new system. CML manages all the costs coming in and has to produce and issue monthly accounts and invoices to the joint venture partners and customers respectively, as well meeting all of CML’s internal and statutory reporting requirements. Their primary requirements of the new system were therefore within the Project and Finance modules. With millions of pounds a month going through the system, the level of accuracy required for allocating costs amongst the various joint venture partners and customers was much greater than a typical installation – and a critical success factor of the project. This requirement was incorporated and customisations, such as increasing fields to four decimal places, ensured precision in the percentage of costs and revenue splits for the different parties. Traceability of costs and revenue from inception were also essential in order to provide accurate reporting for all parties. Incremental Group set up the required infrastructure, deployed the system to a private cloud, and continue to provide ongoing support. The new system was implemented on time, is fully operational, and since go-live, has effectively and accurately processed hundreds of millions of pounds.